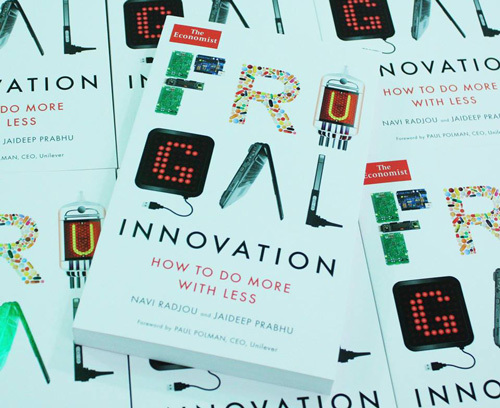 In Frugal Innovation, Navi Radjou and Jaideep Prabhu have created a book that deserves to be on the bookshelf of any manager, inventor, advisor or sustainability operative. It’s a powerful mix of insight, tools, case studies and fresh perspectives on how to transform the entire global economy into a sustainable enterprise. The authors argue that there is no alternative to embracing sustainability and letting it change and improve a business. 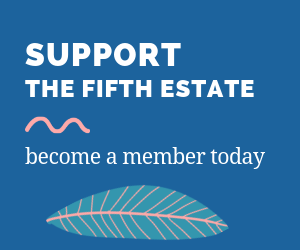 The drivers for this include the eco-conscious millennials, the rise of the sharing and circular economies, an absolute awareness of the need to reduce carbon emissions and conserve scarce non-renewable resources, and the growing “hacker” movement. If more and more people would rather make their own stuff, or share stuff, or even do without if it will hurt the planet, they observe there’s an obvious gauntlet being thrown down for traditional firms. The book entirely challenges the conventional Australian business wisdom that being more frugal means simply shedding workers, dropping pay rates further or shifting offshore to where folk will work for less. Instead it opens up the idea that because the majority of people in developed nations have already suffered real reductions in effective pay, and because emerging economies are such a massive market, there is enormous profit to be had in focusing on affordable, eco-friendly, “good-enough” products – ones that meets a need, not ones that have gratuitous high-tech bells and whistles so they can be sold at a higher price – and finding ways of making them cheaper and better. The good-enough approach also consumes less resources in terms of energy, time and raw materials, making it a sustainability winner. The six principles of frugal innovation set out in the book revolve around engaging with the market to drive cost-effective research and development, creating frugal supply chains and manufacturing operations, creating sustainable solutions, shaping customer behaviour, co-creating value with “prosumers”, and “making innovative friends”. It also covers creating a frugal company culture and effective change management. The other impressive thing about the book is its genuine “how to” approach. Each of the basic principles of frugal innovation is accompanied by case studies of companies including Marks and Spencer, Unilever, Cisco, Siemens and Renault-Nissan, and strategies that can be used by firms and managers to implement the principles successfully. While each of the strategies is presented with highly do-able steps, Radjou and Prabhu say that to succeed in an era where sustainability and doing more with less are unavoidable imperatives, companies should set themselves “big, hairy, audacious goals” and make a big public noise about them, so shareholders, employees and the marketplace can hold them accountable. It worked for M&S, who called its BHAGs around energy efficiency, waste reduction and fair-trade sourcing “Plan A – because there is no Plan B” and generated millions of euros worth of bottom-line benefits pursuing its Plan A KPIs. The sheer intellectual brilliance, momentum and magnificently crafted and accessible language make this an extremely motivating read, one that delivers a whole new lens with which to scrutinise everything from government policies to corporate strategies. It also illuminates so many brilliant possibilities for innovation at every level of society, from platforms like Quicken, which allows anyone with an internet connection to become an inventor and potentially see a product brought to market, through to the new ways of looking at the “wicked problems” of energy, transport, waste and equity. Frugal Innovation is a serious contender for any list of “10 books that can help change the world”.